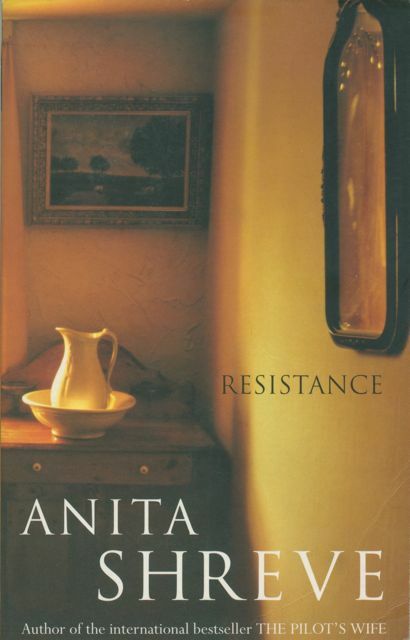 I didn’t quite know what to expect when I started reading it, but I have to say that Anita Shreve’s novel Resistance (1995) is not half bad. There are things about it I didn’t like, but the truth is that it’s probably no worse than a lot of the ‘literary’ fiction I’ve read in recent years, books which have either won awards or been hailed by critics for reasons I fail to see. It might even be better. Perhaps that’s simply because it’s less pretentious, or perhaps I think so because I came to it without any expectations. Either way, although neither exceptional nor flawless, Resistance is a decent read and that’s not a bad thing. Ted Brice is an American pilot whose B-17 bomber is shot down over the fictional village of Delahaut in southern Belgium in late 1943 on a mission to bomb Germany. Wounded, he is rescued by a young boy, Jean Benoît, who brings him – not to his own home, for his father is a collaborator – but to the Daussois, a married couple that are members of the resistance: Henri, a farmer, is a somewhat reluctant member, and his wife Claire, a former nurse, is more committed. The emotional centre of the novel is the relationship that develops between Claire and Ted during the few weeks of his convalescence. But it would be misleading to think that this is a domestic love story. The warm colours on my paperback’s front cover are also somewhat misleading. The story is rather more brutal: Germans are killed, reprisals against Belgian civilians follow, and Claire and Ted’s idyll inevitably comes to an end. The novel ends with the inauguration of a monument to the crew of the B-17 fifty years after it was shot down, an ending which allows Shreve to wrap things up. There is a photo on Shreve’s website of the monument erected in the village of Cerfontaine (the model for Delahaut) in memory of the fallen B-17: you’ll find the photo in the photo gallery. Shreve’s husband, John, is the son of the American pilot of that B-17. The novel was turned into a film with the same title in 2003 with Bill Paxton and Julia Ormond. This entry was posted in Belgium, Fiction set in Belgium and tagged Anita Shreve, Belgium, Fiction set in Belgium, Resistance, World War II. Bookmark the permalink.